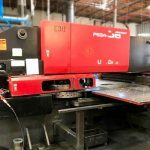 Our mission is to help our customers maintain operations efficiently with minimal down time and cost for Amada Turret Punch Press and Amada Press Brake service, repair and replacement. 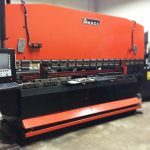 Because of our diversity and experience, the Lapis Service Team specializes in many areas including annual and/or semi-annual preventative Amada Turret Punch Press maintenance or Amada Press Brake check-outs, relocation of machines, maintenance and operator training, new and used Amada Turret Punch Press sales refurbishing and retrofitting, circuit boards, Used Amada Turret Punch Press relocating & setup and software. 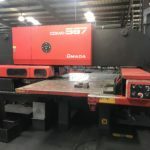 We successfully provide our Amada Turret Punch Press maintenance service package to many leading Global Manufacturers. The Lapis Service Team’s expertise and service to our customers and remains unmatched in the industry. 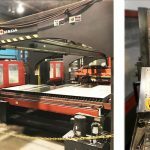 Our team is the very best in class and recognized as the most knowledgeable, experienced, Amada Turret Punch Press and Amada Press Brake technicians in the business. Period. 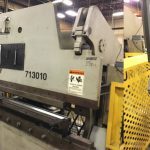 We can confidently say that we will get your broken or worn out Used Amada Turret Punch Press or Amada Press Brake back into production quickly and efficiently. 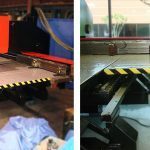 Our customers are provided with fully detailed documentation of services provided on every job and our Lapis Service Guarantee backs all jobs that we do.